How To Use Google Plus Like A Professional? Google Plus was launched on 28th June 2011 and from that day onwards, social media was never the same again. Diehard fans of Google+ (including me) believe that it will grow into more than just a social media platforms and for others, Google+ is just a dead cowboy town. In this article, you find everything you need to know about Google+ and how to use Google Plus like a professional for your social media marketing strategy, for the coming years. Google+ (or Google Plus as some called it) is not just a social media platform like Facebook and Twitter. Users are able to use Google+ as an interactive tool to connect with others for leisure and business alike. Long story short, the whole concept of Google+ is to make it more than just a social media platform. Instead, the team is focused in making it a tool for … everything. And without much delay, this brings us to the first question below. Is Google+ a dead cowboy town? You will get different answers depending on who you are asking. Google+ may actually be a dead cowboy town if you are doing it wrongly. Here’s the reality check – Google+ is a social media platform congested by photography lovers. Therefore, 7 out of 10 posts are highly related to really good photo shots. This doesn’t means that it is only for the photography niche. You can still leverage Google+ like Facebook or Twitter if you have the right strategies (which I’ll explain in a minute time). 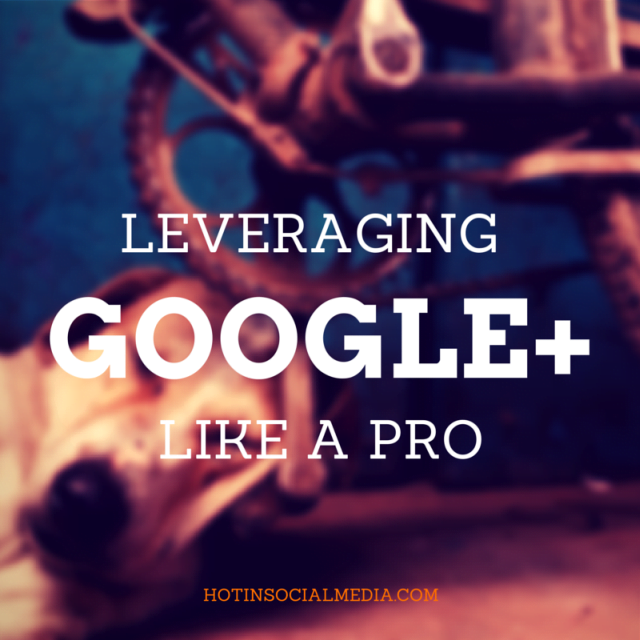 What are the advantages using Google+? Google never admits this but we all know about it; social signals play a huge role in website ranking. You do not need to have a rocket science degree to tell you that! Another advantage using Google+ is that Google+ is a niche platform. For example, photographers would gather, grow and share information between one another. And if you are a photographer, you have a huge chance to engage with influencers all around the world. The same goes to others niches such as social media marketing, content marketing and blogging. Each community is very specific to a cause. How to make Google+ works for you? People often ask me how I built my influence on Google+. For starters, I was the early adopters of Google+ which gave some leverage over others. It takes lots of time and effort to grow your visibility from nothing to something. And unlike Facebook or Twitter, making it Google+ works for you require more than the usual effort. It takes tons of it but at the end of the day, it will prove to be very useful (for both search and influence level). If you are just starting out, you would have limited followers which in return, having minimum reach and impact on your posts. Introducing, Google communities and this is where you build your interaction with others. You can easily find Google+ communities by clicking on the left and select Communities. You would then have the option to create your own community or find for others to join. If you are feeling adventurous, you can select recommended for you which Google+ will give you a list of communities you can join. You can either request to join a community (some communities require the administrator’s approval prior to joining) or join one instantly. Now that you have got into a community, it is time to say do a little introduction. Certain communities have an introduction category and it is always recommended to drop by and say “Hi”. 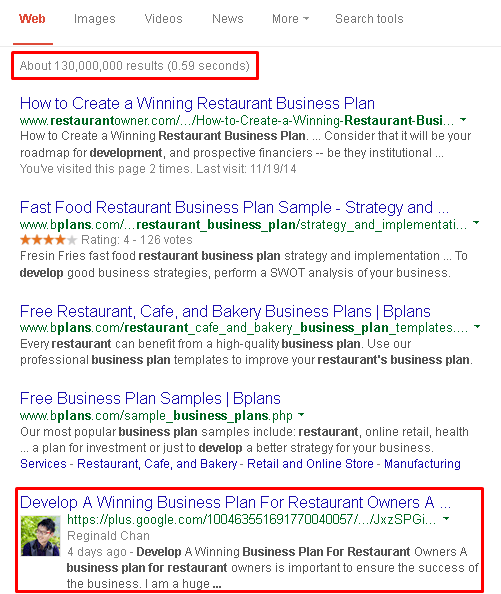 As Google+ is trying to crack down on spam, avoid sharing a link in your introduction. On average, an introduction should be around 50 words or less. A introduction needs to be unique and it has to represent who you are (in real life). Take the opportunity to leave a few welcome comments to the posts before you. This will help you to build a better portfolio. Another part of participation is when you are getting into a conversation started by others. Sometimes, a simple offering of +1, reshare or comment could easily double your influence level. It is also important to tag or mention the person you are replying to by using this: +(name). This is to ensure that they receive a notification of mention instead of a reply or comment. Believe it or not, I receive around 30 notifications per hour and sometime, it can be really stressful. The above is one of my recent posts. Did you notice the different font styles I use? Google+ allows users to make each post more interactive by using bold, italic and underline. In the post, I used bold (format style *bold words here*) and italic (format style _italic words here_). Plus, I make each paragraph short and meaningful. Instead of throwing my link on first paragraph, I use a summary (a few paragraphs) followed by a link to continue reading and a pin it image feature as well. Lastly, I ended the post by using a few hashtags for a higher audience reach. This is to ensure that skimmers and reader are not facing a wall of text but a post that they can easily read under 10 seconds. Does this help to increase my click through rates? ABSOLUTELY! It takes a lot for a person to respond or engage with you through your post. So, take time to respond back to them! Thanking your readers goes a long way and you don’t want the flame to die just like that. You want them to continue to engage with you! My strategy is simple (which I use on Twitter as well); asking them what they think of the article, if they could leave a comment or simply, sharing their thoughts. Most of the time, more than half of them would be delighted to share their thoughts along. How to not get banned or labelled as spam on Google+? Google+ is really strict (in some ways) in terms of using it correctly. Most importantly, the right strategy will ensure that you are leveraging it to the maximum. Recently, someone asked me about how to avoid the automatic spam filter in Google+. This means that your post will be filtered out automatically by Google and this will affect your reach. This happens because you are copying or repeatingly using the same content to publish on the platform. For example, you may be using the same content to publish on various communities. And of course, remember it is all about engaging and not particularly sharing your posts and links only. Question: Are you using Google+? Share with us your experience using Google+ and tell us what you think about this platform in the comments below.